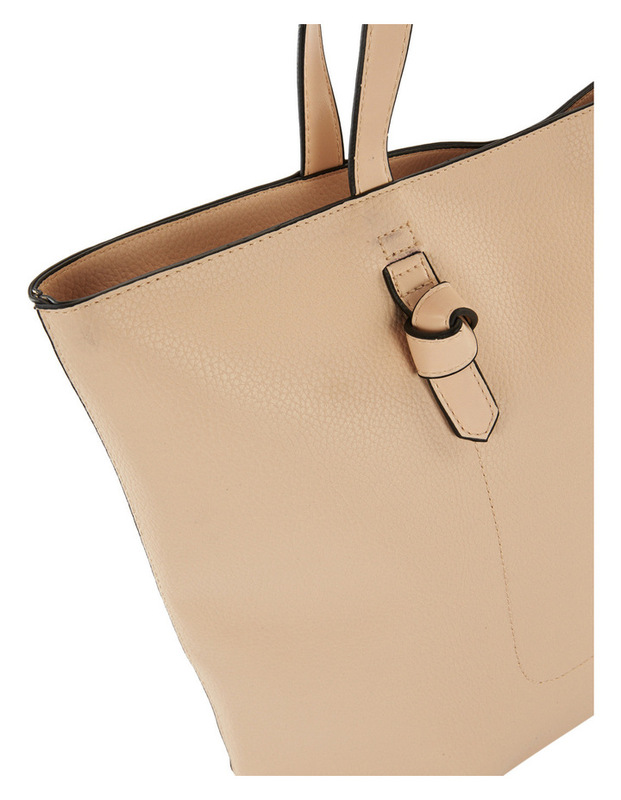 A chic design with knoted strap features and a pebble like texture fabric. 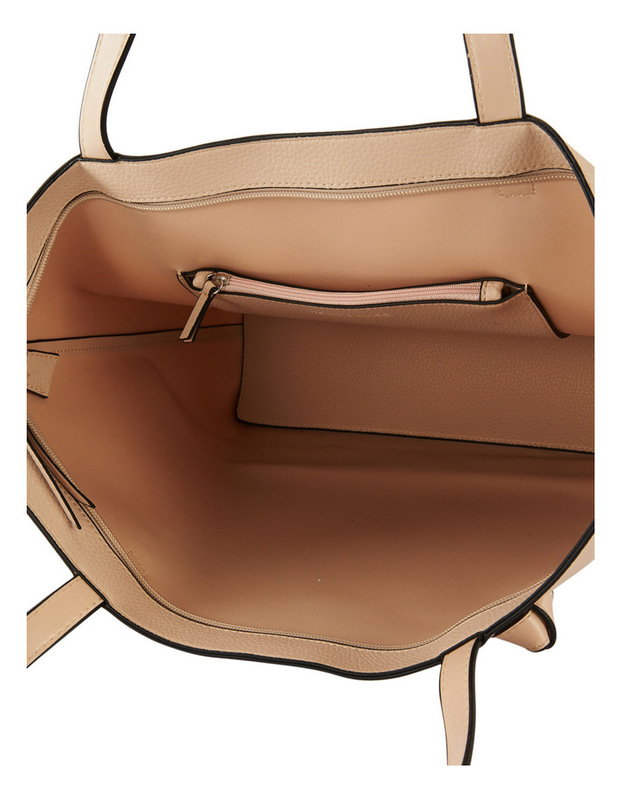 Featuring one large main compartment with a top zip closure for ultimate safety!. 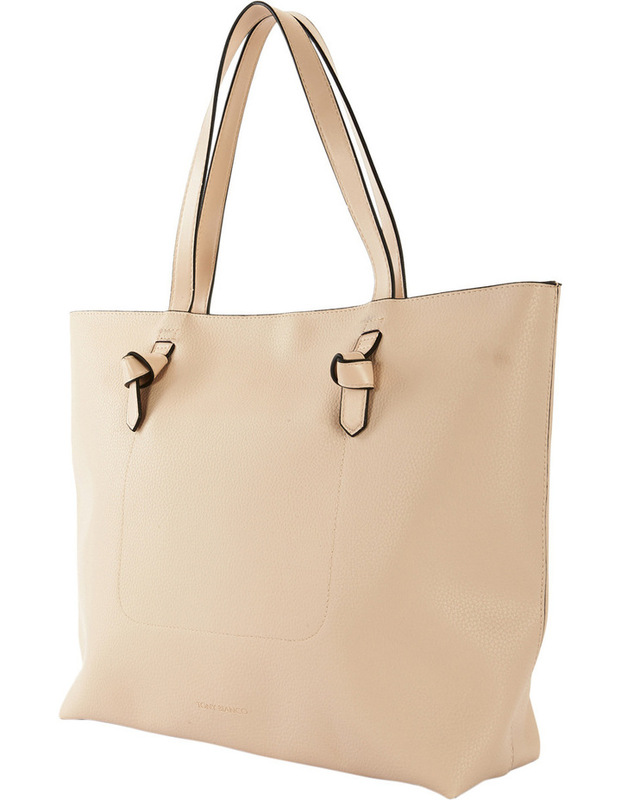 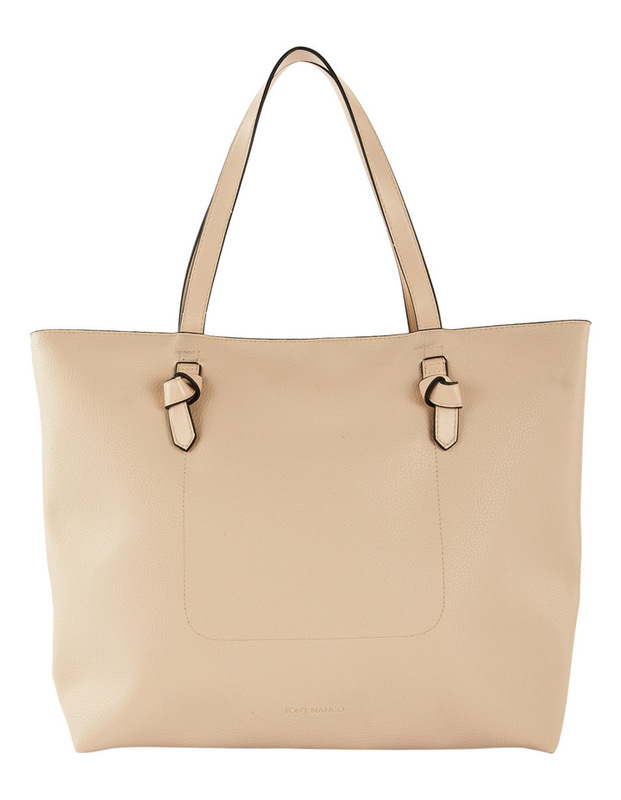 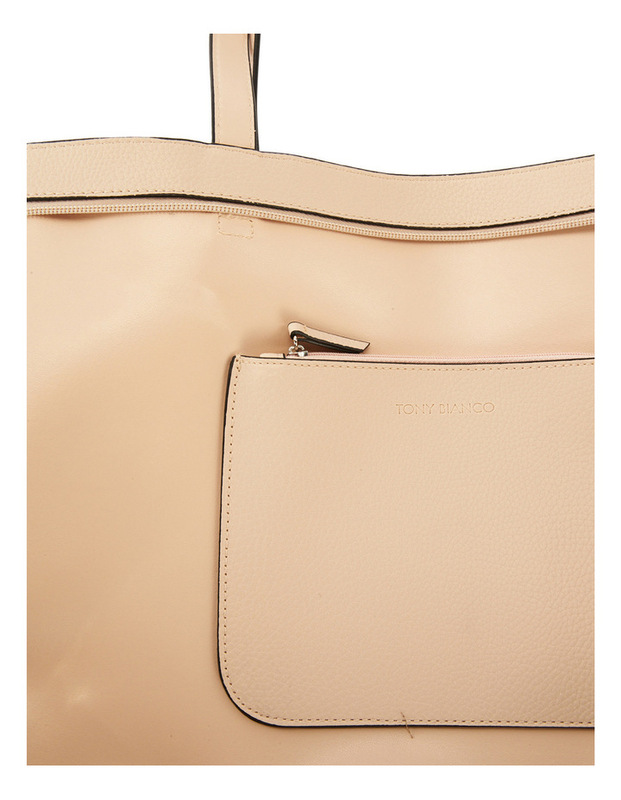 Tote style, iconic tony bianco embossed logo, 1 internal small zip pocket, 100% polyurethane, pebble texture, measurements: h: 33cm x w: 48cm x d: 11cm"